The efforts of UndocuScholars are to engage institutional agents, college and university students, scholars, and community advocacy partners to create and further build on sustainable and effective best practices for undocumented youth in higher education. As an extension of the UndocuScholars Project launched in 2014 at UCLA, the ongoing efforts of UndocuScholars is to engage institutional agents, college and university students, scholars, and community advocacy partners to create and further build on sustainable and effective best practices for undocumented youth in higher education. Engage and assist undocumented youth in their educational trajectories to strengthen the educational pipeline by teaching students research skills, providing graduate school application assistance, and connecting students with an undocumented alumni network. Mobilize higher education institutions to share and build best practices to effectively assist undocumented youth in an ever-changing political climate. Connect community and advocacy organizations with scholars to build research and data capacity in the best interest of the participating organizations’ goals. 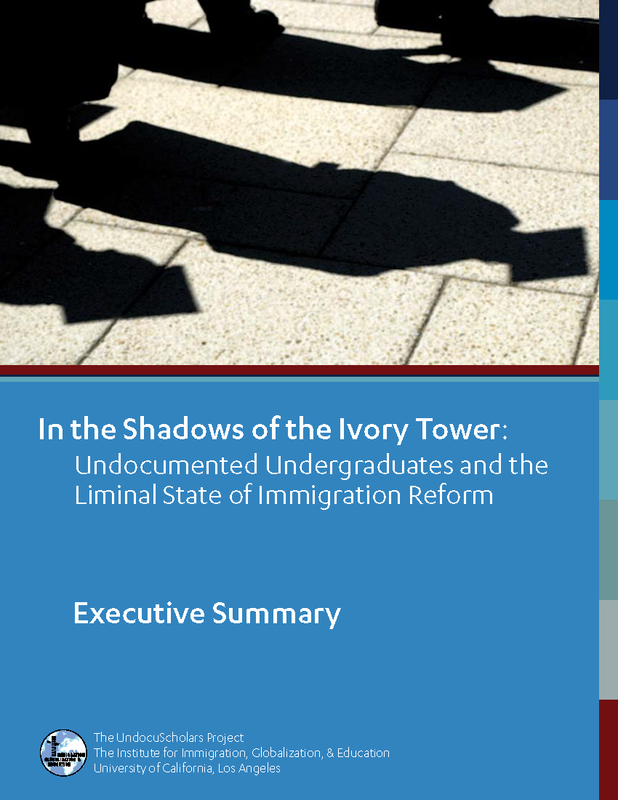 In 2014, the Institute for Immigration, Globalization & Education at the University of California, Los Angeles launched the UndocuScholars Research Project, a national study focused on the college experiences of undocumented undergraduate students. The goals of the national project were to expand knowledge about the range of undocumented student experiences in order to challenge false assumptions and damaging misconceptions and to use the knowledge to better inform on-campus practices and services as well as local and national policy.